Balance is the ability to hold your body upright and steady without falling down. 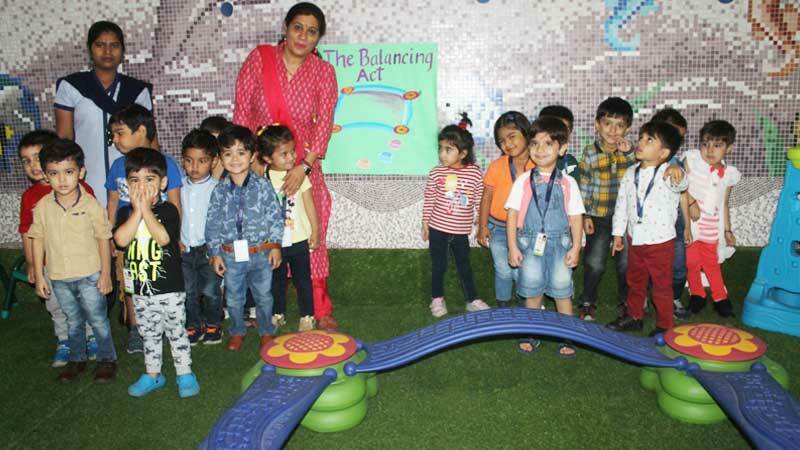 Keeping this in mind, the school conducted a body balancing activity for our Toddlers. We involved our little ones in crossing the bridge at School which they enjoyed a lot. 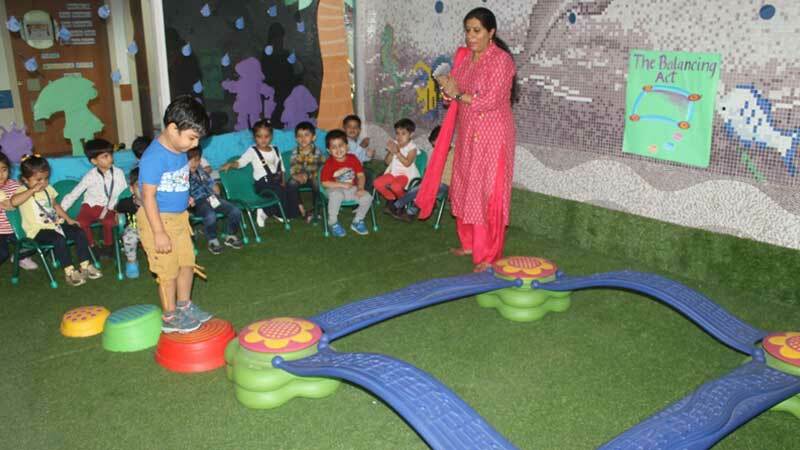 Such fun-filled and simple activities help the little ones to improve their body posture, body control, body balance, concentration and children learn to master their bodies. Such activities also aid in developing their gross motor skills which involve the large muscles of the body to perform everyday functions. The children participated with confidence and thoroughly enjoyed themselves.